Whether you’re headed to work or dressing up for a night out the Born Kerri will be the perfect finish to your outfit. 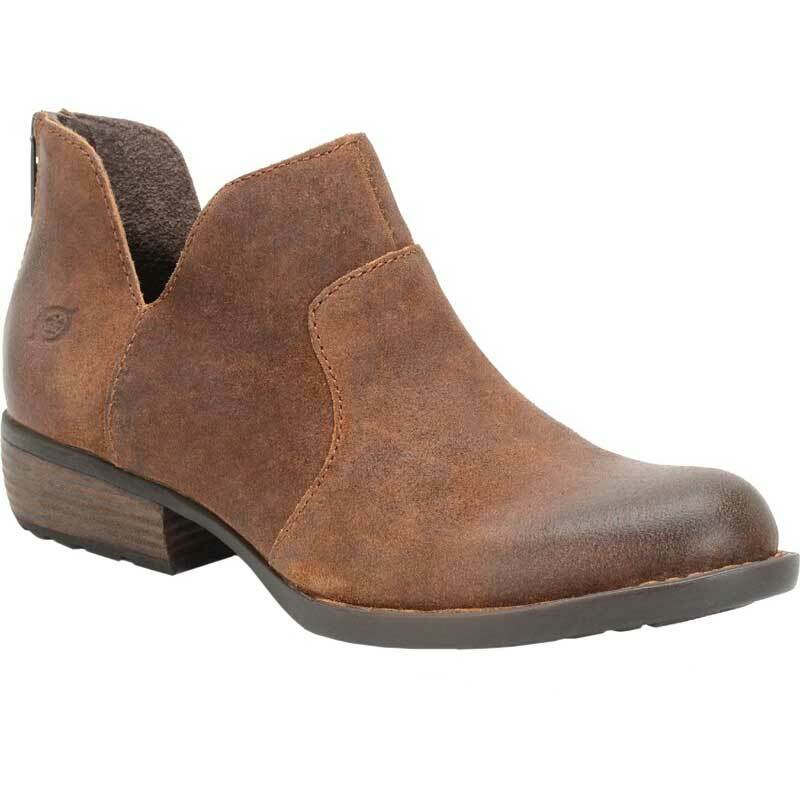 This women's bootie features a full grain or distressed suede leather upper, with detail stitching for added charm. The back zip closure allows easy on/off. Inside, the vegetable leather lining provides a healthy and dry foot environment, while the tucker board shank provides midfoot support and lateral stability. The Opanka hand-crafted construction ensures a durable yet flexible hold, and the stacked heel provides a little height without shakiness. The rubber outsole ensures traction on a variety of different surfaces. Charming and versatile, the Born Kerri is a great addition to year-round outfits. This is actually my third pair of these boots because I love them and wear them so much. They are very comfortable, go with everything and are very well-made. Theyâ€™re comfortable from the first day which means a lot to me. I was also very pleased with Dodds who have some of the best prices out there. Get yourself a pair! I ordered these shoes because looked casual and comfortable at the same time. They are indeed both and I really like them.